We offer an extensive range of EPS Machines designed and developed to deliver optimum performance. 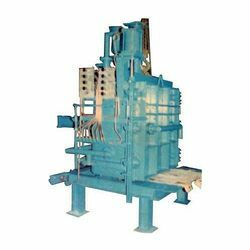 Our machines have been used in various engineering and automobile industries and are widely appreciated. The company can now produce wide range of EPS machinery to meet different requirements of clients. Avail from us a varied range of EPS Moulding Machines that is designed in tandem with set industry standards. This range is widely used to mould themocol in different designs and shapes. Offered in various sizes and dimensions, this range delivers exceptional performance and accuracy in output. It is developed using finest grade raw material. Our clients can avail this range at industry leading prices that too with the committed time frame. Our clients can procure from us a quality compliant range of Thermocol EPS Moulding Machines that is precision engineered as per the specifications detailed by our valued patrons. We utilize advanced production techniques in to carry out specific process to meet the needs originating at client’s end. 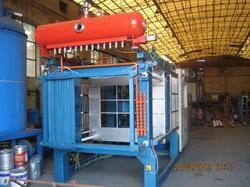 This machinery is tested on several parameters of quality and performance. We deliver every consignment to the client within the set time frame.